Today we continue our monthly focus on profiles of key firms in the management consulting industry. We have a fun one for you today – a big player with key focus on a specific niche of consulting. Keep an eye out for our Mercer Life as a Consultant interview, coming later this month. Mercer is the world’s largest human resources consulting firm. The firm has been ranked the #1 HR Consulting by Vault for several years running and is arguably the top global consulting leader in talent, health, retirement, and investments. They compete for projects with other major 2nd tier firms like Towers Watson, Buck Consultants, and Aon Hewitt. If you’re not in the HR world but the Mercer name sounds familiar to you, that’s because you’ve seen their surveys. They do tons of them! A couple of interesting ones are their worldwide cost of living survey and their employee holiday entitlements around the world survey. If you’ve ever been curious about how much these types of surveys cost, they even publish that on their site. They spend a lot of resources on building their expertise – hosting annual global conferences, publishing world-wide surveys, and issuing regular newsletters and webcasts, to name a few. Their signature events include their M&A Ready™ 2-day Workshop for HR professionals managing M&A transitions. The firm is huge and wants to remain that way. For the most part, Mercer is a prestigious company where your consulting career can flourish, if you put in the work and get to know the right people. You’ll need to get used to constant changes, however. With their long history of acquisitions, be prepared to take part in frequent re-shifting, re-organizing, and re-structuring across the organization. Also, be prepared to focus purely on the human resources aspect of a business. If you can handle that kind of flexibility and narrow focus, you’re golden. Mercer is not a stand-alone firm. It’s a subsidiary of parent company Marsh & McLennan Companies, who also owns Oliver Wyman, Lippincott, and NERA Economic Consulting, among other businesses. The roots of the Marsh & McLennan Companies can be traced back to the late 1800s/early 1900s when Burrows, Marsh & McLennan in Chicago became the world’s largest insurance agency. Decades later in 1959, the group acquired William M. Mercer Limited, a Canadian provider of independent employee benefit consulting. Marsh & McLennan became a public company in 1962. In 1969 Marsh & McLennan was formed as the parent company and major acquisitions continued to expand the company’s holdings. In 1975 William M. Mercer, Inc. was created as a separate employee benefits consulting subsidiary, setting the stage for the exponential growth of Marsh & McLennan Companies’ consulting business. The global expansion characteristic of the 80s was leveraged by Marsh & McLennan, as they made key acquisitions establishing wholly owned-and-operated offices in all of the major global marketplaces. When Mercer and A.S. Hansen merged in 1987, it created the largest employee benefit and compensation consulting firm in the U.S. When Temple, Barker & Sloane was acquired, Mercer’s consulting services were expanded to include management consulting. In 1995 the firm’s consulting revenues exceeded $1B. In 1997, Mercer acquired Corporate Decisions, Inc., a small consulting firm that brought an element of prestige to Mercer’s previously economically diverse portfolio of clients. To push the envelope even further, Marsh & McLennan acquired Oliver, Wyman & Company in 2003. In 2005, Mercer’s consulting businesses were reorganized into 2 business areas: human resource consulting and specialty consulting. The first business is focused on management of human capital, health and benefits, communication, retirement, M&A, and recruitment process outsourcing. The latter includes management, organizational change, economic consulting, and brand strategy businesses. The President and CEO (currently Julio Portalatin) oversees the entirety of Mercer’s consulting business. Below him you have Chiefs, Presidents, Regional Presidents, and Vice Presidents managing various areas of the business. The firm also provides M&A and outsourcing consulting, but these are smaller contributors to their business. Mercer leverages its professional staff in offices around the world to provide locally relevant services to clients in each country. Running all of its projects out of the NY HQ just wouldn’t make sense, right? Here are links to several global offices that will give you a flavor of the country issues Mercer deals with. Mercer has 180 offices around the world and over 20,500 employees. HR and specialty consulting projects are assigned to local offices with locally based professionals. That means local office culture is strong at Mercer, and compared to other top tier and 2nd tier firms, travel isn’t as heavy. Your career path at Mercer is fairly straightforward, as you find with highly structured consulting firms. Generally, undergrads are hired into Analyst positions and MBAs are hired into Associate positions. As a non-MBA grad student, you’ll be brought in at the Analyst level, unless you have a quantitative PhD background or relevant work experience – then you might be considered for an Associate role. The firm offers summer internship programs within several of their lines of business, including Human Capital, Health & Benefits, etc. In 2012, Mercer hosted 100 interns in 22 offices across the country, up from only 40-50 a decade ago. Internships are usually paid and interns are assigned a mentor who takes them through the performance eval process at the end of the internship. Interns get access to formal and informal training (like lunch and learns) and get assigned to real client projects. The best way to get into an internship at Mercer is to apply through your career office at a target school. If you don’t attend a target school, you’ll have to get really creative – like attending a career fair at a neighboring target school or networking like a ninja. For ideas on breaking into firms outside of regular recruiting cycles, get The Networking Bible. The majority of summer internship opportunities are targeted to undergraduates. However, sometimes there are specific lines of business that recruit a handful of master’s-/MBA-level interns. We categorize Mercer as a second tier consulting firm, below the top rung of MBB firms where ex-consultants usually move on to CEO, COO, and other leading positions in Fortune 100 companies. While work experience at Mercer is a great thing for your resume and can open all sorts of doors for you, overall you don’t see too many Mercer alum become heads of Fortune 100 companies. However, you will see them in VP, Sr. Director, Director, Sr. Manager, and other key leadership positions. If you’re planning on taking over the world as the boss, Mercer might not give you the experience you need – but if you want to be the right-hand-staffer to the boss, you’re in good shape. Another downfall to starting your career at Mercer is that it will pigeonhole you into HR consulting or HR-specific roles. If you’re looking to transition into MBB at some point, your chances are quite low from this type of firm. However, if HR consulting is where you want to be, Mercer is one of the best places to cut your teeth. However, there are lots of opportunities for ex-Mercer consultants to transition into inside the Mercer organization – e.g., investment consulting with Mercer Hammond or financial advisory with Mercer Capital. Then there are the adjacent positions with Mercer’s sister companies under the Marsh & McLennan umbrella – management consulting at Oliver Wyman, microeconomic consulting at NERA, or corporate image and identity strategy consulting at Lippincott. Many Mercer alum head to other consulting firms to become Associate Partner, Partner, Principal, etc. Firms like Aon Hewitt, The Cambridge Group, Deloitte, Slalom, and others have welcomed Mercer expertise. Of course, entrepreneurial endeavors are no stranger to ex-consultants. Mercer sees its fair share of ex-consultants coming up with new business ideas and starting new companies. The culture at Mercer is relaxed compared to, let’s say, McKinsey. You’ll see consultants walking around in khakis and sweaters or open collar button-up shirts. Suits and ties are rarely seen at Mercer sites. We suppose this has to do with Mercer’s year-round “Appropriate Dress” policy – which allows employees to select between Business Casual or Business Dress on any given work day. Because offices are assigned work in their local area, each office has its own personality. This is important to keep in mind as you’re applying to the firm – accepting an offer for the SF office might be a totally different story than signing on in Richmond, VA.
As an entry level analyst, you won’t travel as regularly as other consultants might. A 4-day travel week is not the norm, like it is with MBB. When travel is required, it’s mostly done regionally and is not routine; much of the work Mercer does is behind the scenes. Mercer’s “operating imperatives” sound great, don’t they? However, we’ve heard a lot of chatter about the need for Mercer to apply the strategy the firm uses for its clients to its own organization. If you’re a Mercer insider, we’d love to hear from you on this topic. Add your comment below or email us! Mercer has a two-round interview process. For students, the first step is an on-campus interview. For non-students, the first interview happens over the phone. The second round is an in-office interview day, which can range from a half-day to a full day. During this time, candidates meet with several Mercer consultants and are given information about Mercer and its business. You can anticipate taking part in a discussion or luncheon with peer group employees. Networking tips – Mercer has several lines of business and interviewers from one line of business can’t make hiring decisions for another group. Make sure your networking contact on the inside is in an area where they can help you. If Mercer doesn’t recruit on your campus, it’s going to be tough for you to break in. As a non-target candidate, the firm will tell you to submit your application online. On your application, you’ll be asked to include your location preference – that will determine which recruiter reviews your resume, if it makes it past the initial system screening. If the recruiter decides to consider you for an interview, your resume will be added to the pool for that office location. What can help you here? Networking. 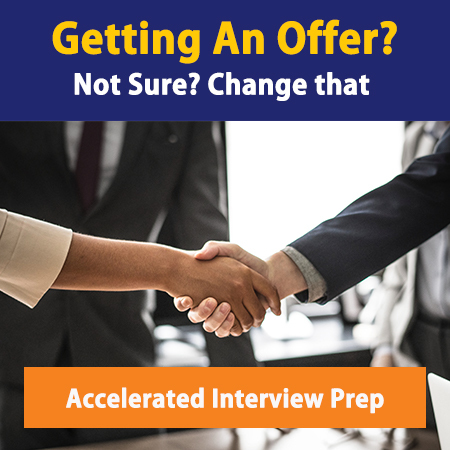 Making contacts in the office you want to join, leveraging your friends’ and parents’ networks, and setting up info sessions with Mercer consultants in the same line of business will all improve your chance at getting past the resume screen. Here’s another idea. Check out Mercer’s website for free conferences happening in your area. The Health Matters survey, for example, is a free event held in major cities across the U.S. and anyone can attend. Note – When you apply to Mercer, your app isn’t shared with its affiliated companies like Oliver Wyman or NERA, so you’re wrong if you think you can kill 2 birds with 1 stone. The recruiting systems for each organization are completely separate. Are you an undergrad, MBA or intern who’s interested in working at Mercer, but you don’t know how much you’ll make? Check out our latest Management Consulting Salaries post to find out! Mercer recruits directly from good to great undergraduate schools. They tend to have less focus on recruiting MBAs and instead hone in on undergrads who they can bring in at lower salaries. The firm hosts info sessions at target schools – key recruiting events for undergrads looking to break in.